We will do our best to bring timely updates on our company’s progress to the attention of the public, particularly through industry news organizations. Beyond news releases posted here, the press can learn more by contacting us directly with inquiries. E-mail Roger Moore at info@newenergyblue.com or call 717-626-0557. 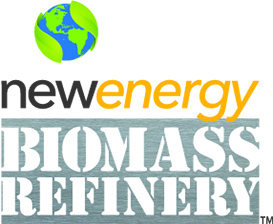 Boston, MA, /September 24, 2018 – NewEnergyBlue is about six months away from breaking ground on a ground-breaking renewable fuel refinery. New Energy Spirit Biomass Refinery is forecast to turn 280,000 tons of North Dakota wheat straw into 16-million gallons a year of some of the lowest carbon auto fuel selling in California, the world’s fifth largest market.